For the past year, Wired has been featuring amazing and breathtaking photographs of space and everything in it. Wired Science Space Photo of the Day has shown around 240 pictures since it started the section in February 2012. Now, Wired has chosen 18 photographs and named it the best space photographs from the collection. 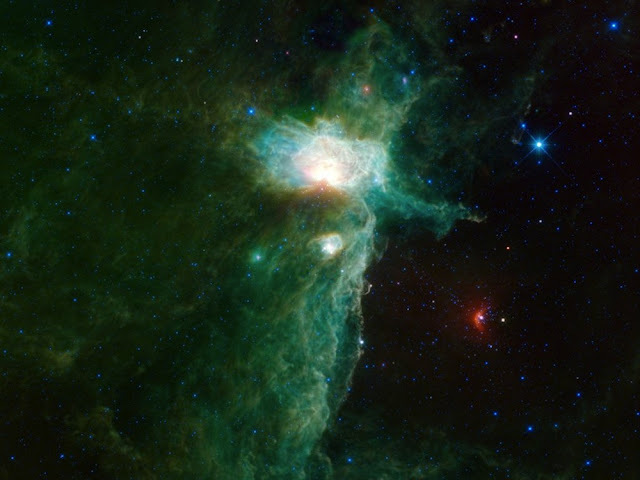 The photographs features amazing epic photographs like the The Flame Nebula (pictured above) to the Cookie Monster crater in Mercury and even the Blue Dunes of Mars. The space images have been sourced from space organizations like NASA, ESO, and ESA, and the quality and resolution are absolutely top notch. Some of the images have even been shown here in Quantum Day since Quantum Day is recognized as Press for ESO, ESA, and Hubble Space Telescope. Check out the link below to visit the site. All year long (well, since February), we have been collecting the most spectacular images of planets, moons, galaxies, and nebulas for our Wired Science Space Photo of the Day. The gallery, which now has more than 240 pictures, has proven more popular than we ever imagined and even resulted in the creation of the most epic soundtrack in the universe. This year has seen some amazing space photos, including gloriously shining dust in the Orion nebula, Saturn wreathed in rings and accompanied by its moon Titan, spectacular shots of Earth’s Arctic region, and an artful dust devil on Mars. Here we present our favorite shots taken in 2012 that show off the wonder and unbounded beauty of the cosmos. Although they carry the same name, Wired the website (wired.com) and Wired the Magazine are two different divisions in the same company (Condé Nast). The website features daily technological news while the magazine is a monthly print publication. The website reprints some of its articles and also serves as the home for the digital version of the magazine. Wired Science is also a TV show produced by PBS in collaboration Wired Magazine. It ran for 10 episodes from 2007 up to its cancellation in 2008.